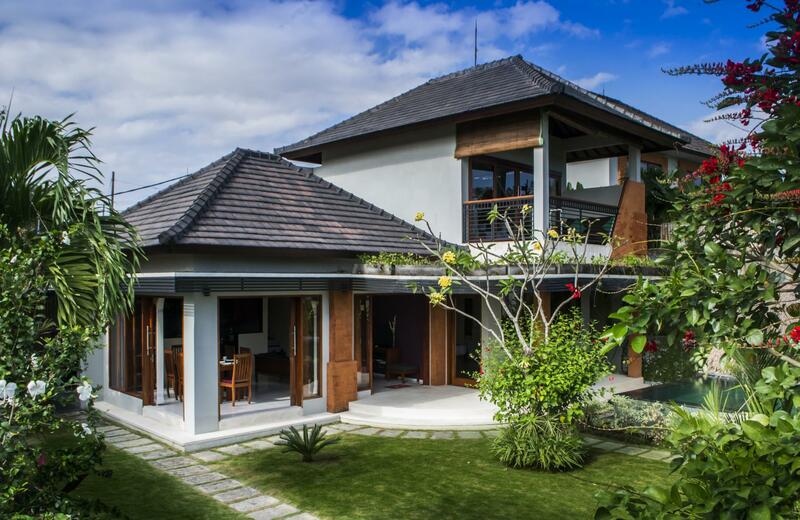 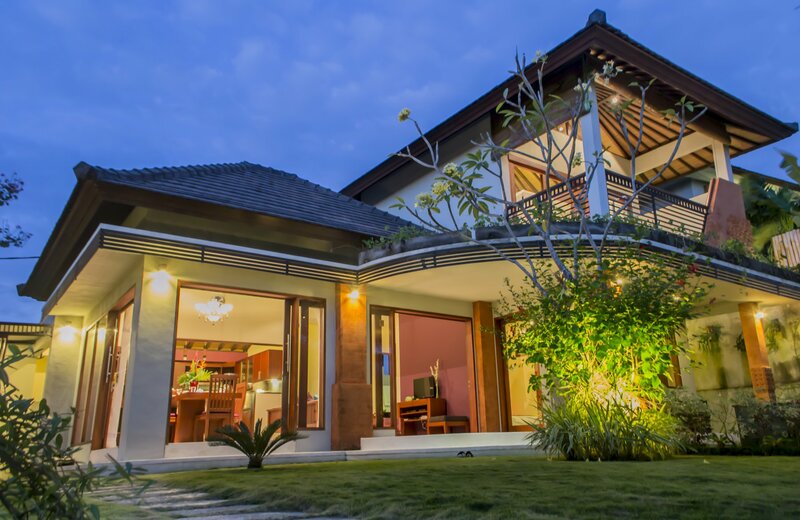 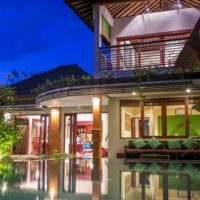 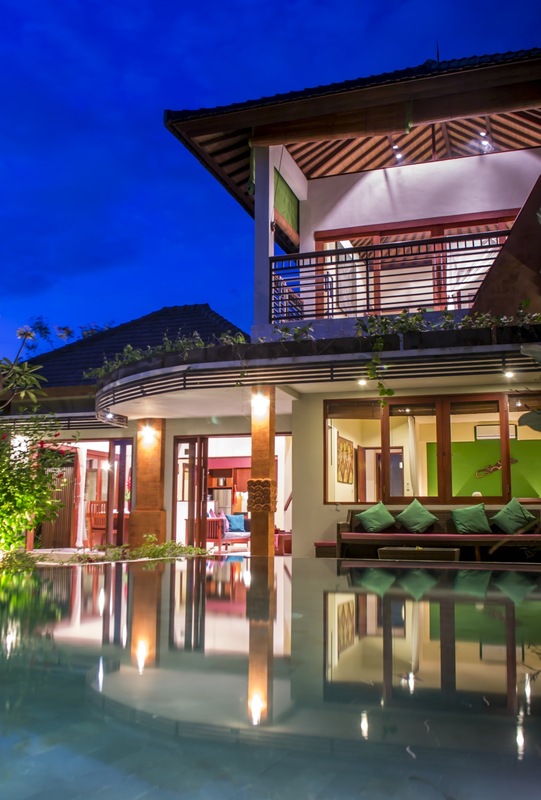 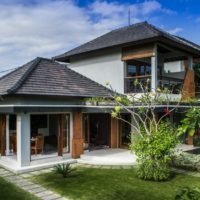 The elegant Villa Semeru comes with its own private garden and a large, inviting pool. 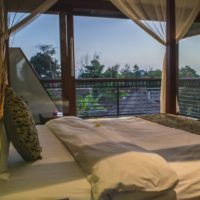 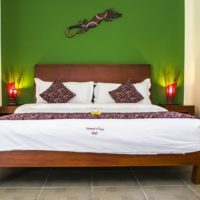 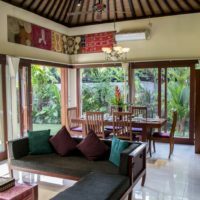 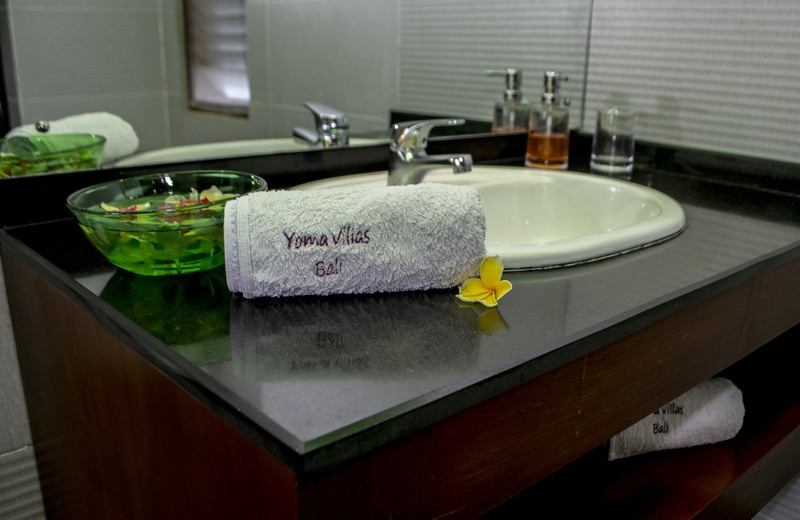 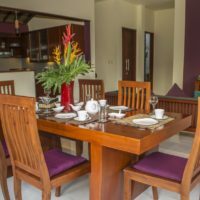 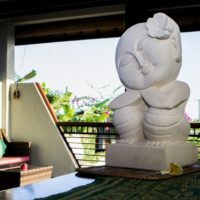 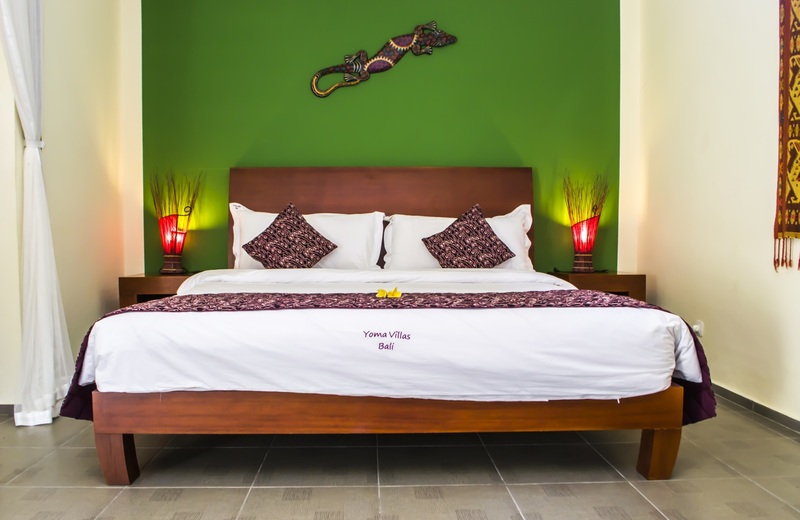 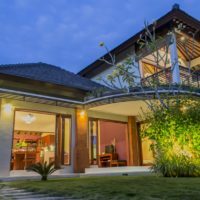 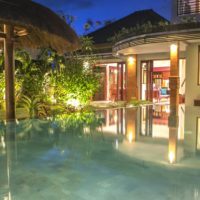 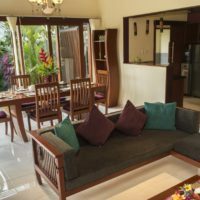 This is the best choice if you are planning to travel with your family, enjoying tastefully designed furnishings, quiet sleeping, dining and living, surrounded by beautiful rice fields. 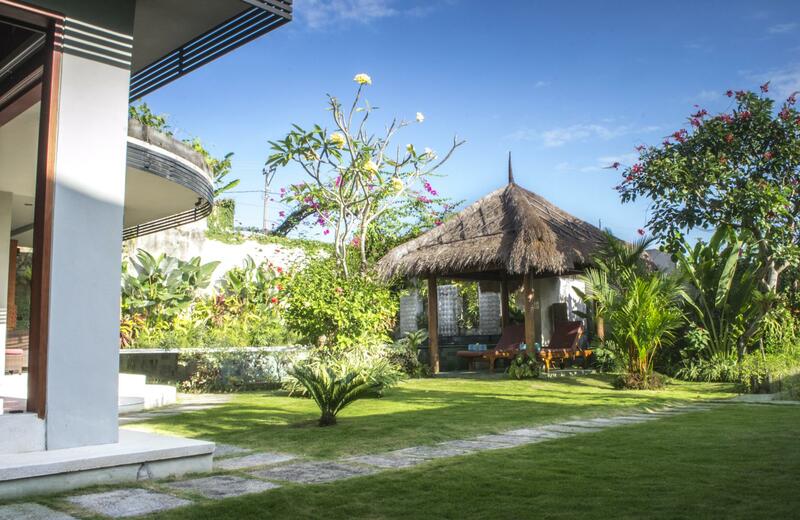 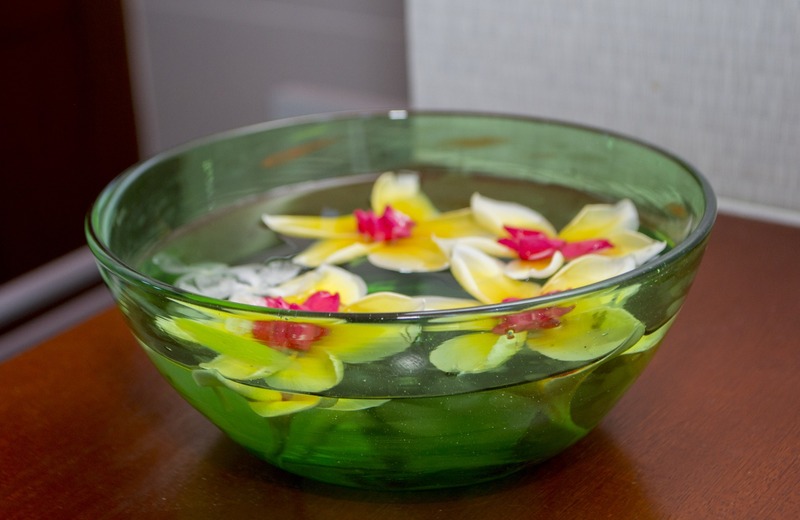 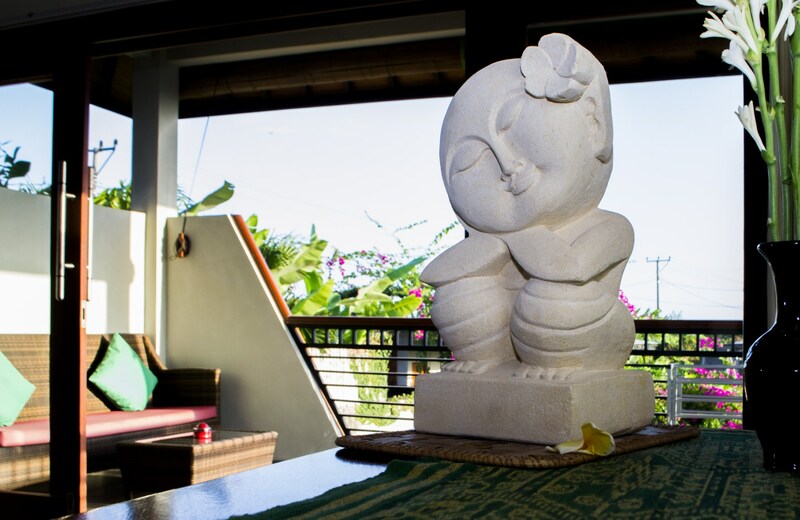 The carefully landscaped garden – in fact, the biggest of all our villas – stretches out over two levels. 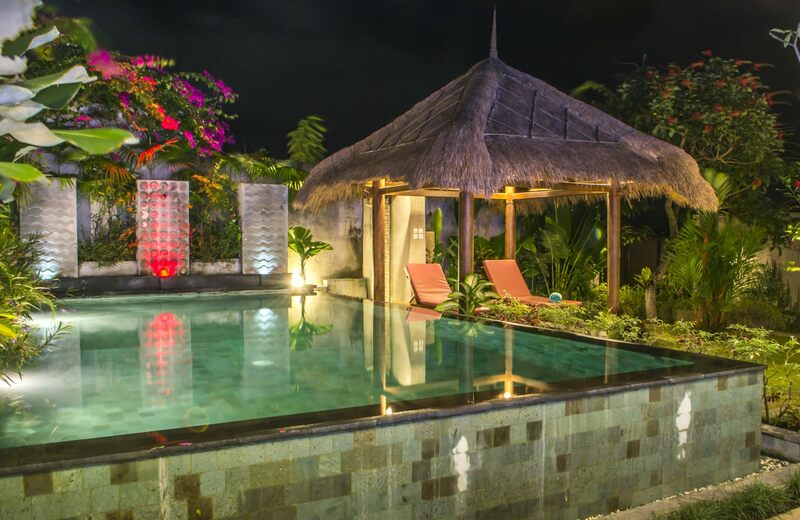 Next to your own pool, you find a thatched Alang-Alang Balé. 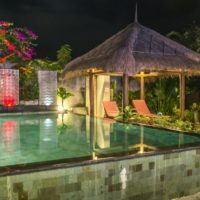 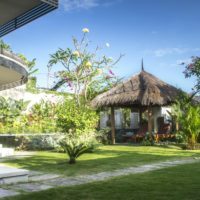 Traditionally crafted from quality Coconut timber and natural Alang-Alang reed thatching, the Balé has been used for centuries by the Balinese as a place of shelter and relaxation from the intense tropical sun, providing shade that is up to 10 degrees cooler than any other shade material. 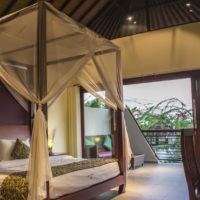 The ground floor comprises an elegant, spacious bedroom with a double bed, which leads to the terrace and the tropical garden. 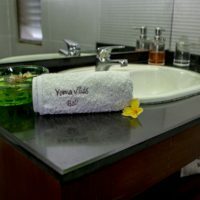 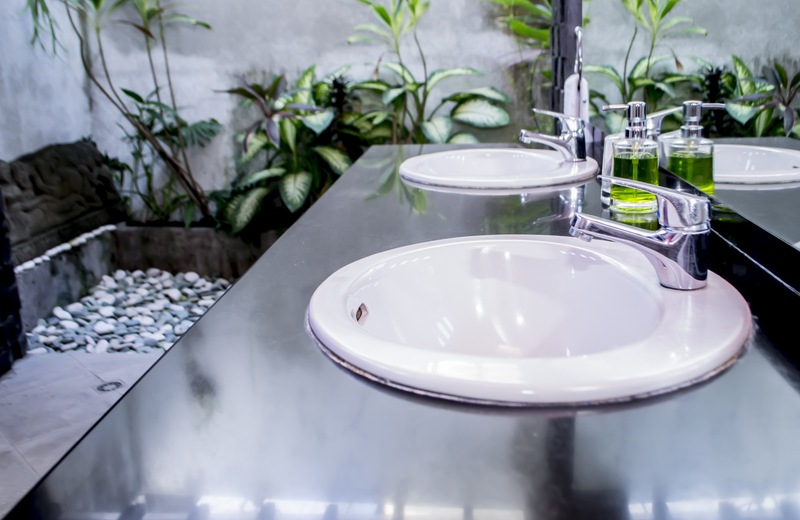 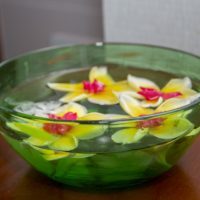 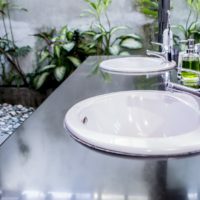 It connects to a comfortable bathroom which captivates through the unique use of lava rock elements and its own little garden. 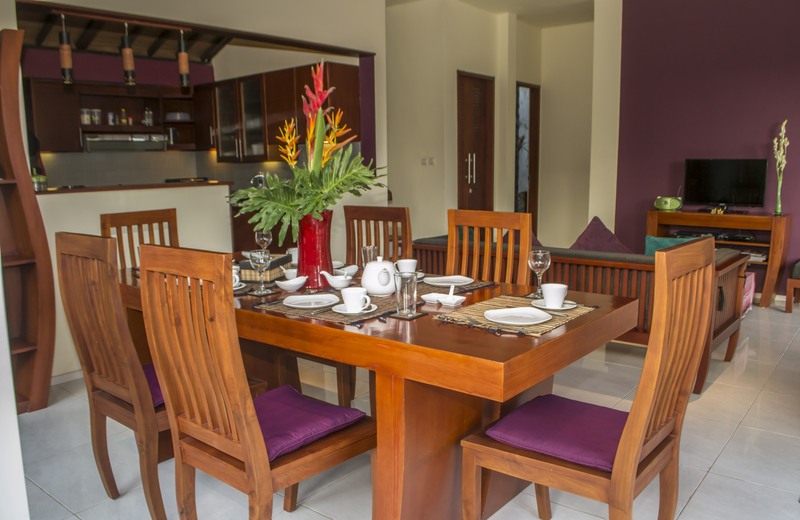 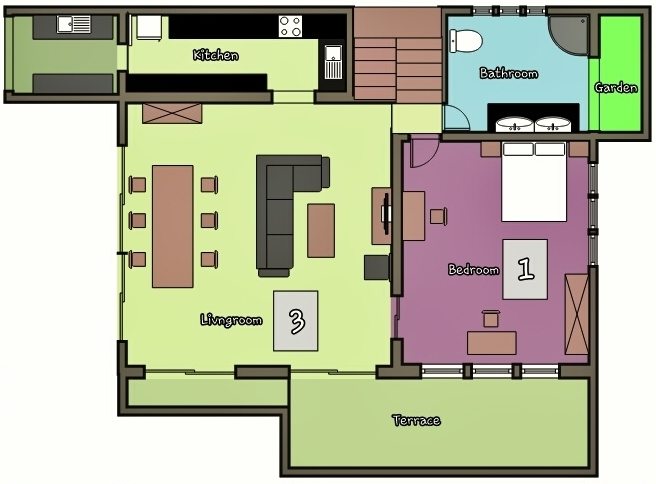 The fully equipped kitchen is next to a stylish dining area with wooden furniture for 6 people. 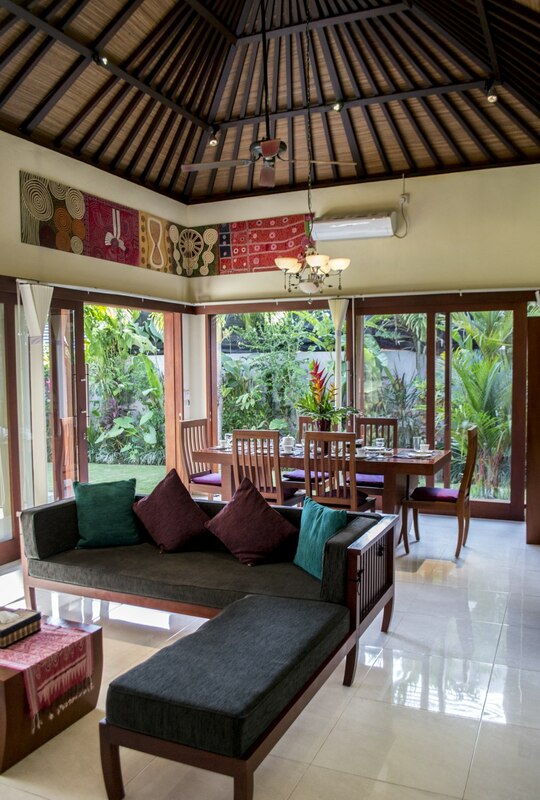 Enjoy the tastefully decorated living room with beautiful, high-quality furniture. 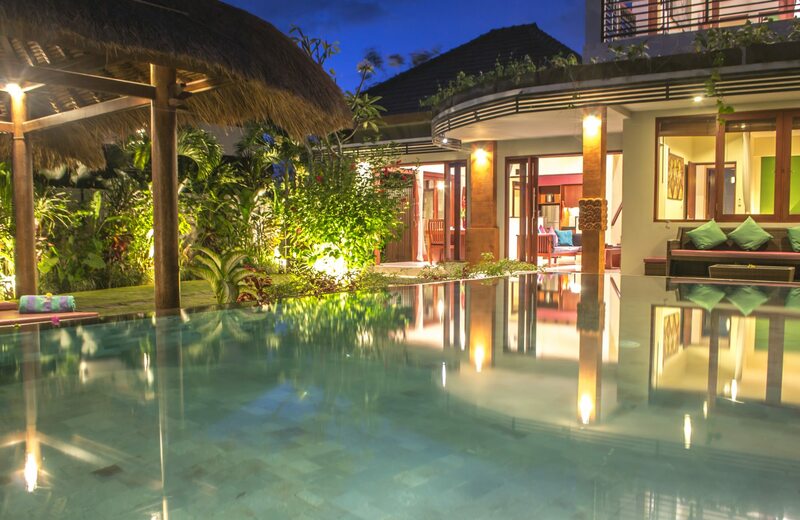 Thanks to the sliding doors, you can enjoy this space open or closed. 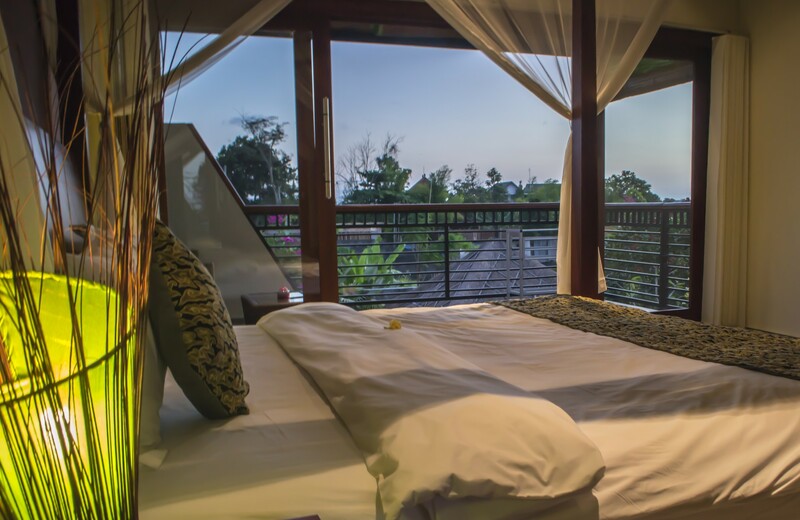 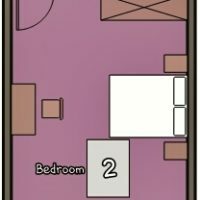 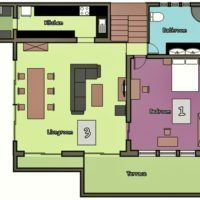 Continuing up the stairs, you reach the second floor, which includes another bright and luxurious bedroom with a double bed and its own balcony. 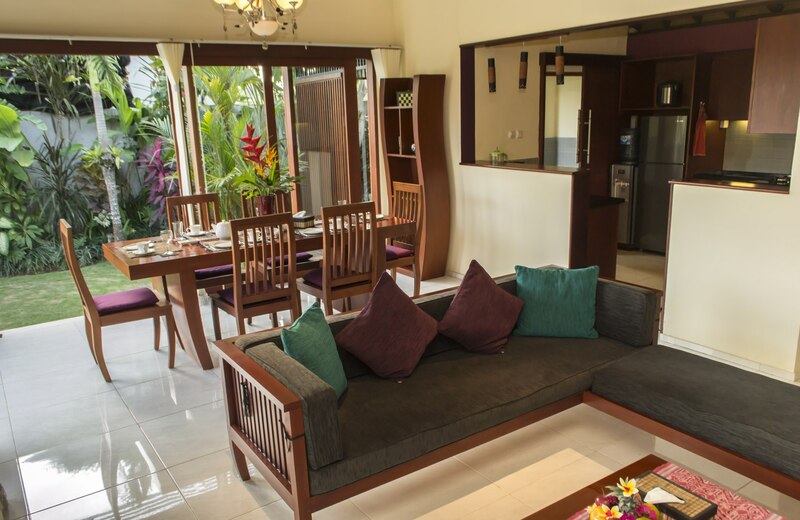 There is plenty of storage room in the wooden cupboards and you have a lovely view to the garden and the rice fields. 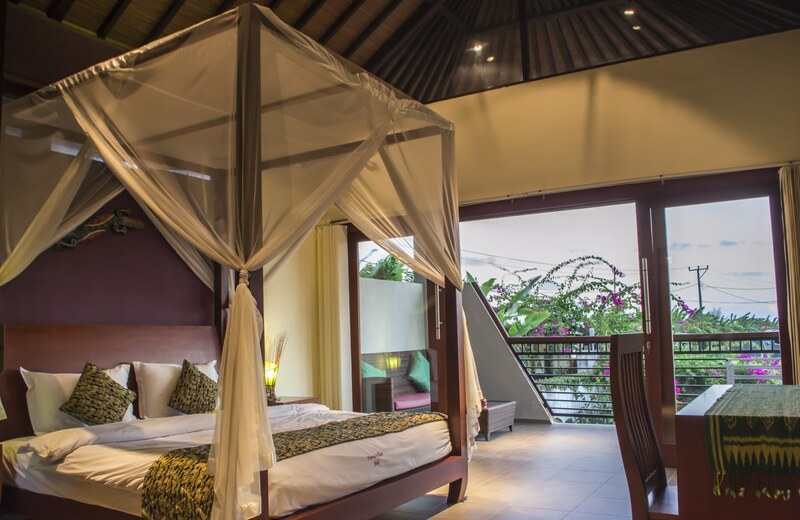 Get into the authentic Balinese mood, gazing up to the high, striking, pagoda-style thatched roof.